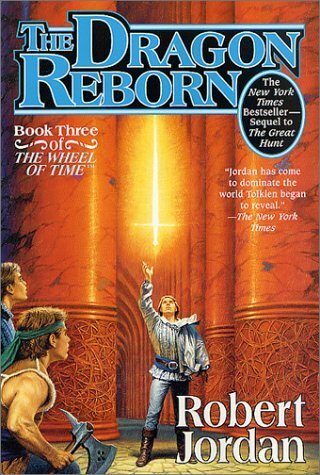 The Readthrough of Time continues this week with The Dragon Reborn, the third volume in Robert Jordan's Wheel of Time series. As with the previous books thus far, I won't be doing a traditional review, although it is worth noting that this is the first book I've encountered that mirrors a lot of the complaints that I've heard over the years about the series. We'll dive into that and more beyond the jump. And now for something different, Macmillan Audio was kind enough to offer us a sample of the audiobook for The Dragon Reborn. If you're looking to catch up/reacquaint yourself with The Wheel of Time, the audiobooks might be your route. You can hear a sample of The Dragon Reborn here, and, if you're interested, purchase the audiobook at your audiobook retailer of choice.